Quadro main sponsor for Steven Holl One Two Five exhibition. Not only innovation and cure. 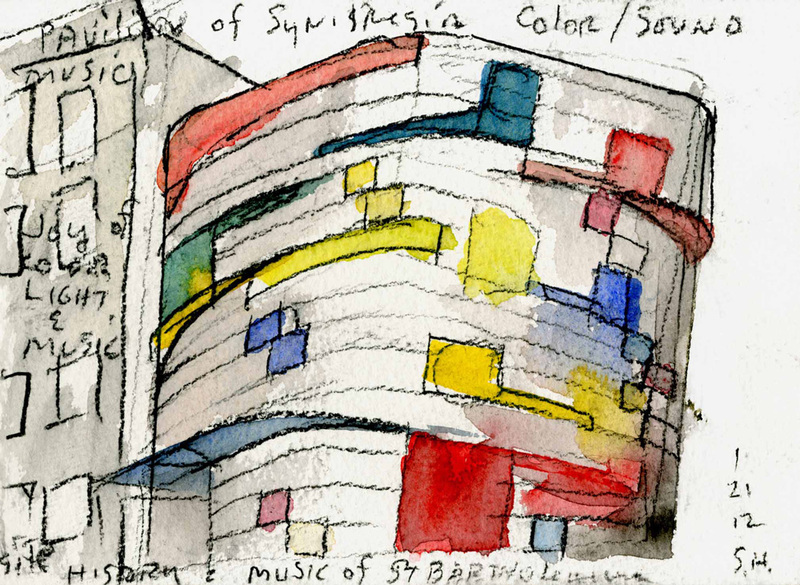 In 2018, Quadro Design expresses the strong connection that links the company to architects supporting for the Fuori Salone the exhibition of the great American architect Steven Holl, at the galleria Jannone. 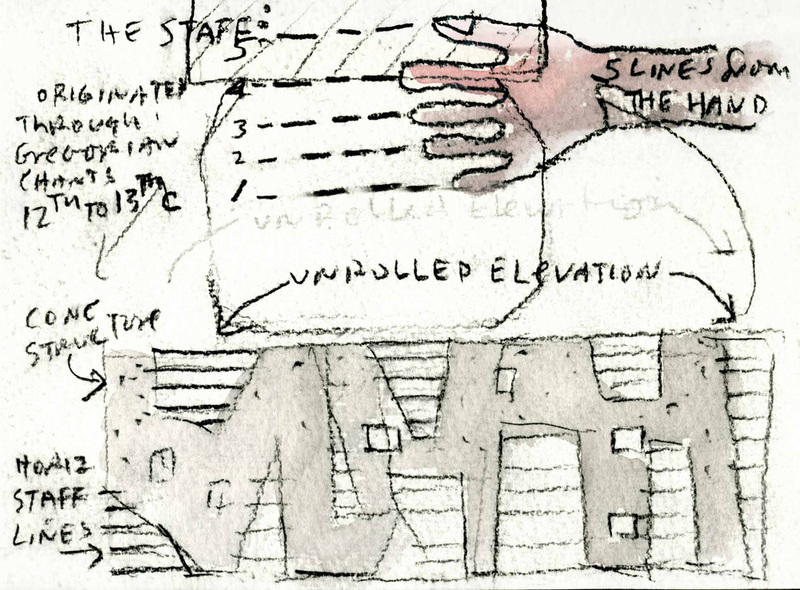 ONE TWO FIVE – STEVEN HOLL, includes watercolours and drawings that represent its projects, always loaded by its unique poetry, expressions of an atypical approach. Among these projects, the Porta Vittoria Park and Botanical Gardens, Milano (1986) is a particular testimony of the strong connection between Steven Holl and Italy. A relationship that began in 1970 and has remained untouched. 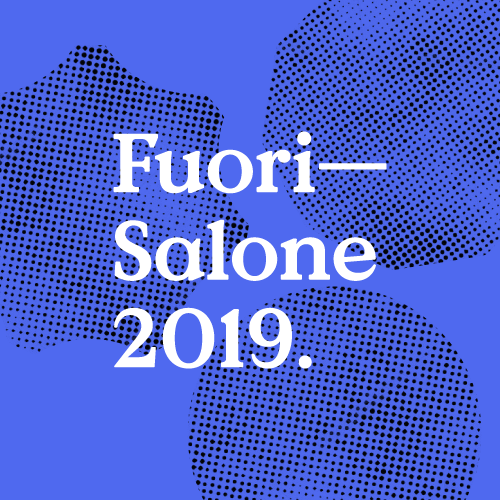 An occasion to give value to the Fuorisalone, a unique cultural even that has found, since its first steps, Quadro Design as one of the main supporters. 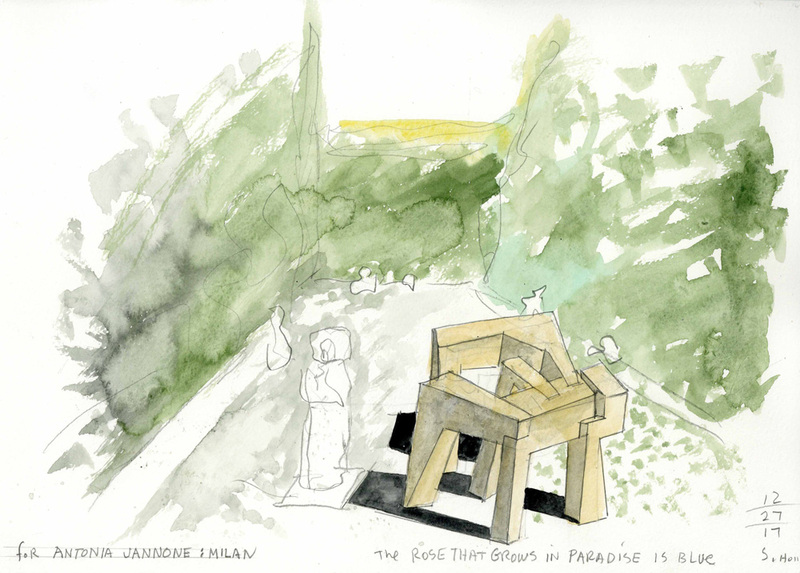 For the occasion, in the garden of the gallery, a site specific installation will be presented, directed by the creativity by Steven Tesic and Milena Veljkovic (di_archon_ass architetti). The collections chosen to be part of this exhibition will be Levo from Studio Adolini and HB, Modo and Stereo by Luca Papini. Una _ Quinta _ ( A side scene) in Botticino marble skilfully crafted, hanged and movable thanks to hinges capable to generate fluid rotations and free from gravity, will be the centre stage. 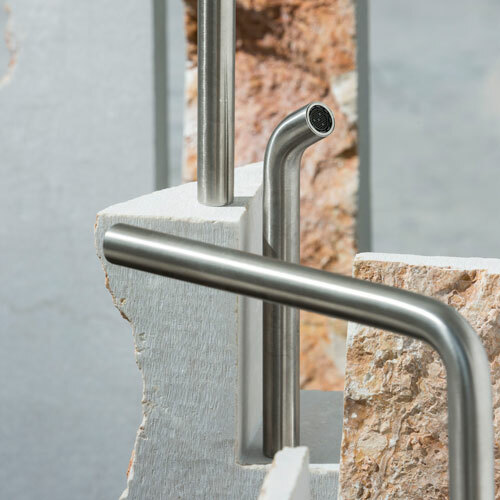 Furthermore, the sittings in marble will be arranged in a micro-landscape of multiple objects and will receive the taps and handles, becoming integral part of the landscape. A concept available to be lived as an interval during the intense Milan Design Week. Click here for more info about the exhibition. Icon Design – The List. Levo one of 31 Must Have for 2019. Levo – designed by Studio Adolini – has been selected by Icon Design magazine one in 31 Must Have for 2019, furnitures and complements that have marked the latest project design, photographed by a couple of exceptional creative due, Still & Strokes. Not only innovation and cure. 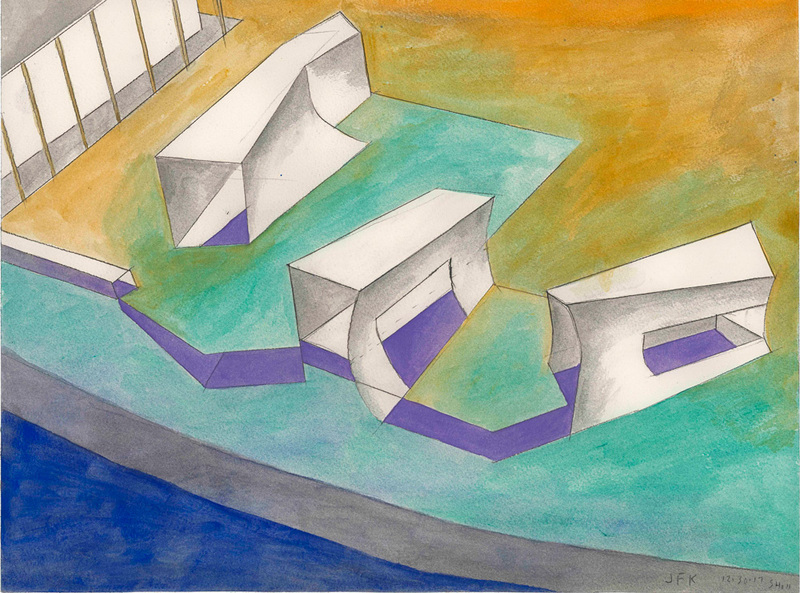 In 2018, Quadro Design expresses the strong connection that links the company to architects supporting for the Fuori Salone the exhibition of the great American architect Steven Holl, at the galleria Jannone. Modo, Stereo e HB. Preview the three new collections designed by Luca Papini at the Salone del Mobile 2018. Hall 22 Stand M38. Come visit us! 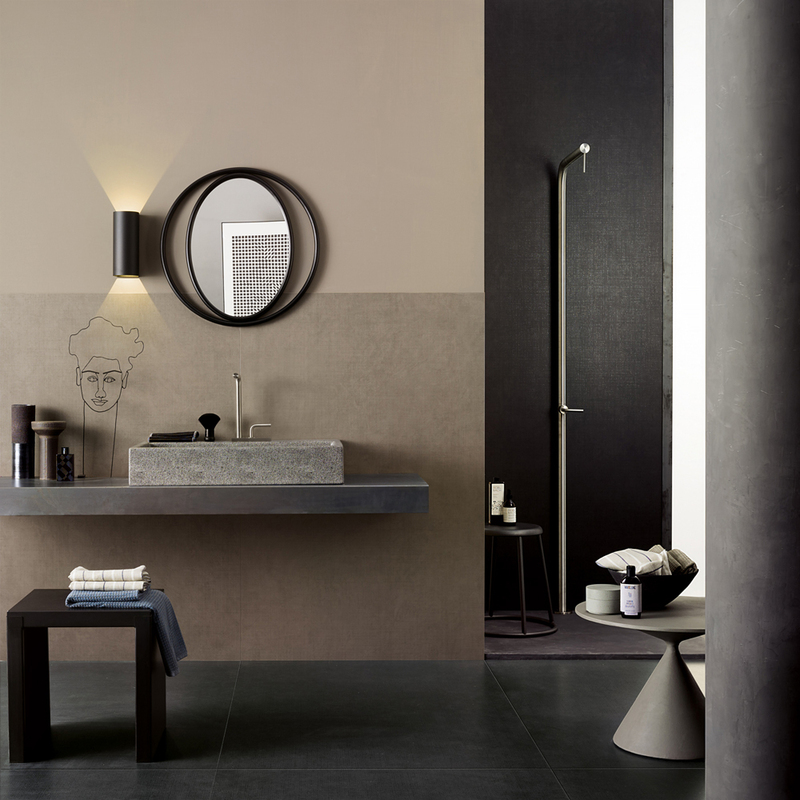 Lea Ceramiche and Marta Meda for their “Take Care” catalogue – dedicated to the new coatings designed by Patrick Norguet – arrange a set where background and protagonists collide. One is made up of matter and weave, the other of pureness and stainless steel. Quadro adds to its range two new finishing technologies that are resistant and aesthetically impeccable. 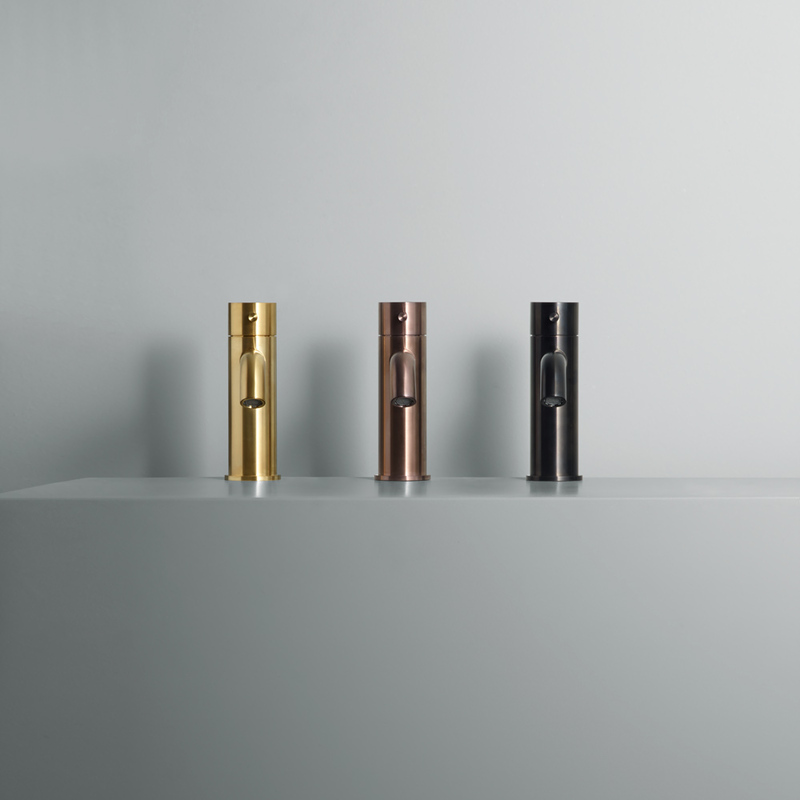 The PVD and the Powder Coating, due methods that guarantee the resistance and aesthetic perfection of our taps. Kitchen mixer with extractable shower. Kitchen mixer with remote control. Kitchen mixer pull out handshower. Three ways kitchen mixer with spring.